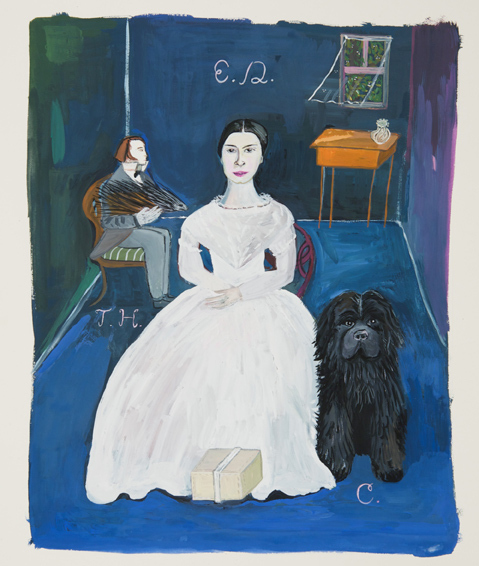 Writer and illustrator Maira Kalman is famous for her drawings and paintings, celebrated in her first museum retrospective, Maira Kalman: Various Illuminations (of a Crazy World). 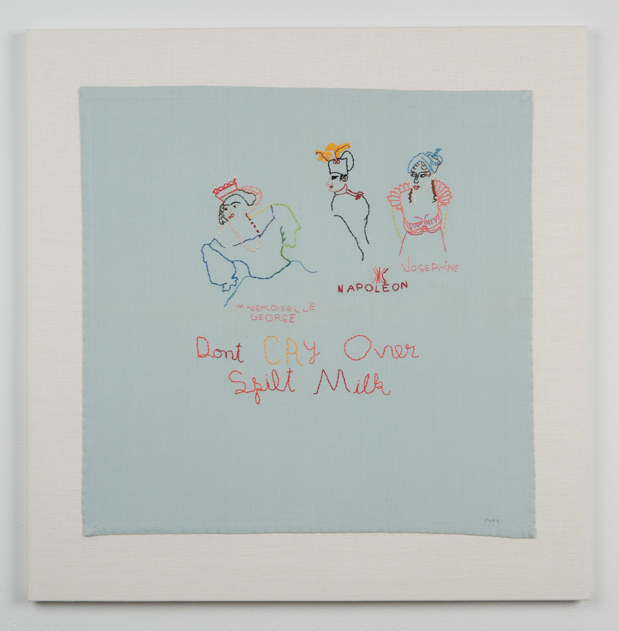 The exhibit, which opened last month, also includes a series of Kalman’s textile work, which was born out of a sentimental attachment to the materials, as well as a desire to have a creative alternative to drawing. Kalman approaches embroidery with a nod to custom as well as playful spontaneity. 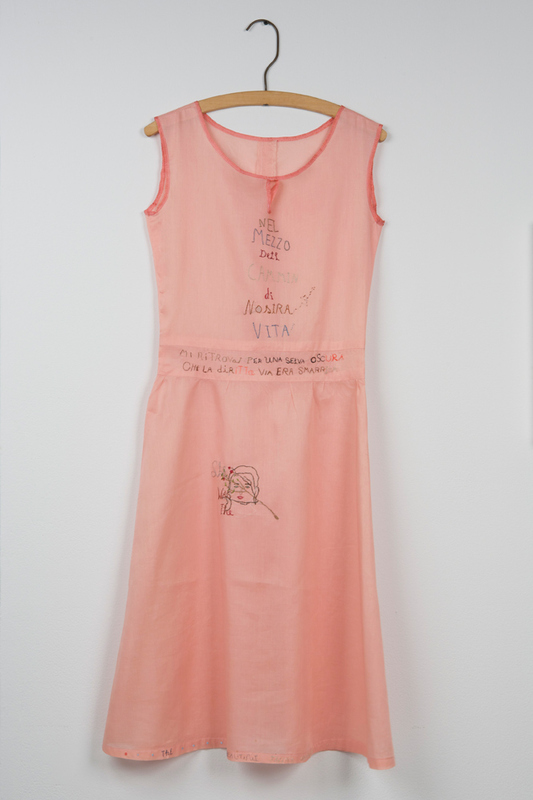 Like the women who traditionally embroidered common sayings and quotations onto samplers, Kalman reexamines both cliche adages and favorite lines of poetry in freehand embroidery, leaving behind the careful plotting typical of needlework.